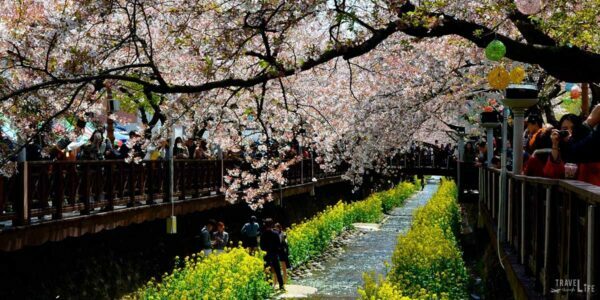 If you think that Korea’s Jinhae Cherry Blossom Festival is just another celebration, think again. 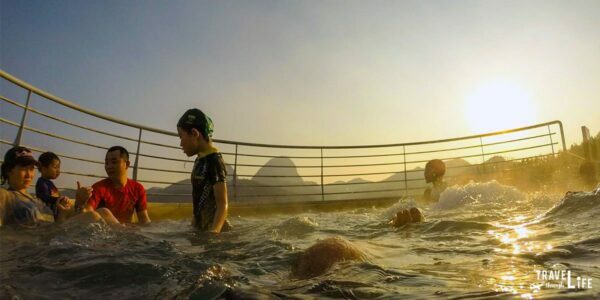 It’s an awesome experience and worth your time. 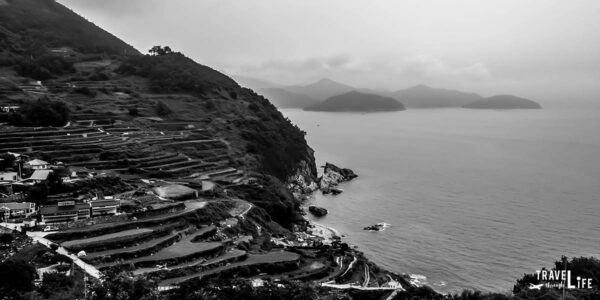 We pass Gacheon Daraengi Village’s main entrance for a pre-visit stop at a scenic overlook, starting our day with the first of many Namhae rice terraces. 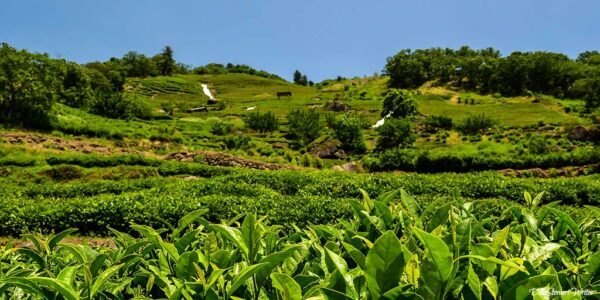 What’s better than an afternoon sipping on the King’s tea in Hadong with beautiful scenes all around? Tell me but I guarantee that it won’t match up. 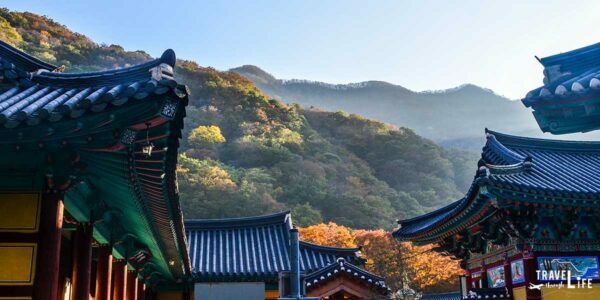 Driving through Korea’s Gyeongsang Province towards Gayasan National Park and Haeinsa, a wonderful site referred to as one of Korea’s Three Jewel Temples. Anapji Pond was our last stop in downtown Gyeongju before returning our bicycles. 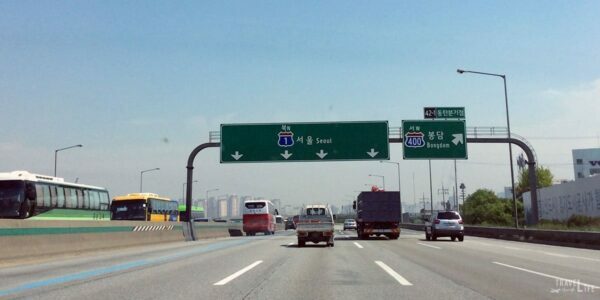 It’s full of memories from the Silla Dynasty and a photographer’s dream. 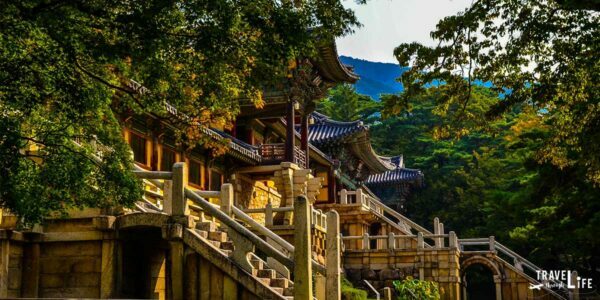 Bulguksa is an example of a beautiful Buddhist temple, pristine and well kept. 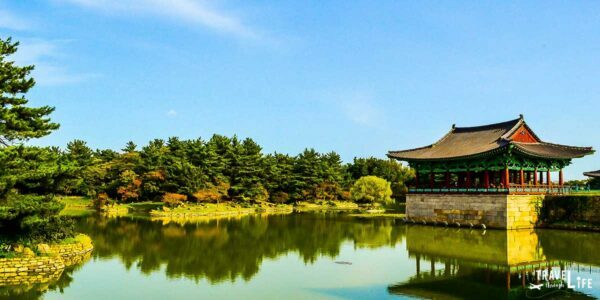 It’s one of Korea’s oldest temple sites and worth a visit. 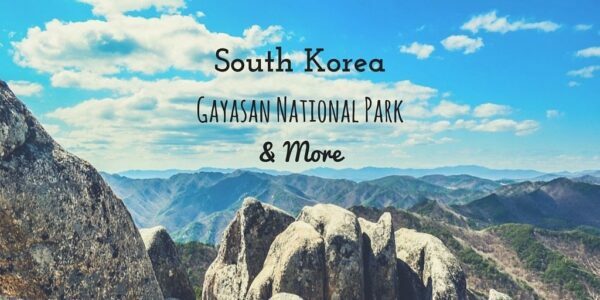 Two great people offered us a ride to witness a truly uncovered gem, Juwangsan National Park. 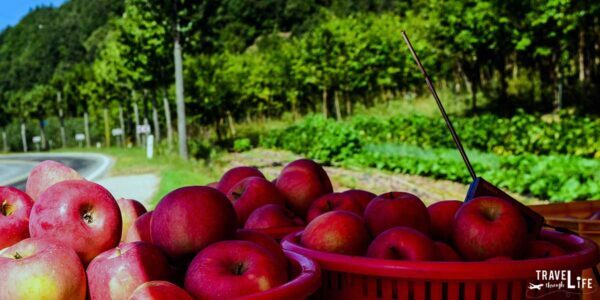 Add this with lots of apples and there’s a perfect weekend.